West Brother Island lies to the north east of HK International Airport. I have read an account that the graphite was discovered in the early 1950s by fishermen who were looking for sandstone to make grinding stones. Instead they came across a black mineral which they mistook for coal. Another source says there was intensified geological interest around this time so maybe the two accounts are linked. The mine operated from 1952 to 1971. 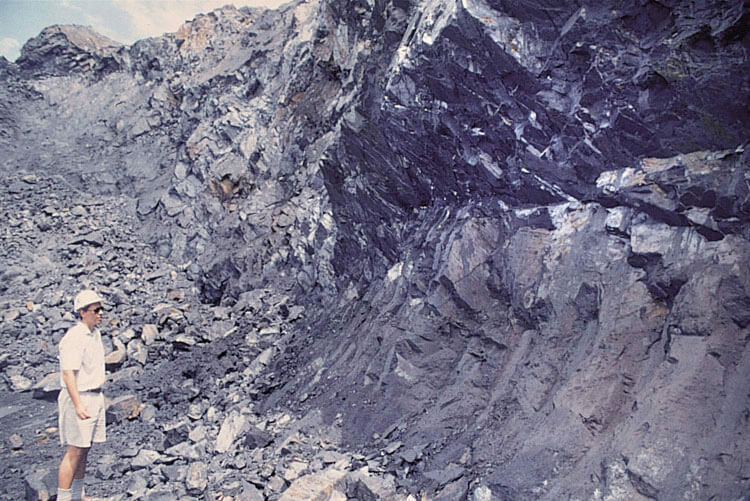 “Underground mining commenced in 1952. Manual mining methods were employed, using picks and chisels to extract the ore, and candles to light the underground workings. The ore was hauled to the surface in baskets, and then carried to the two drying grounds where it was hand-sorted and dried in the open. Natural ventilation was good at first because of the numerous tunnels and shafts in the complex. Late electric lighting was introduced, along with electric dewatering pumps, ore hoists and compressors. However, by 1971, the cost of pumping and ventilation in the deepening mine was deemed to be uneconomic, so mining ceased. The mining licence expired in January 1973.” ( extracted from Sewell etc al). 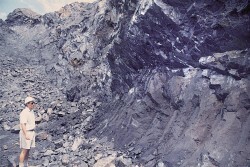 A Geological Society of Hong Kong reports a field trip to the island in October 1992 where remains of the mine jetty and old spoil heaps were found though the mine was “largely overgrown”. 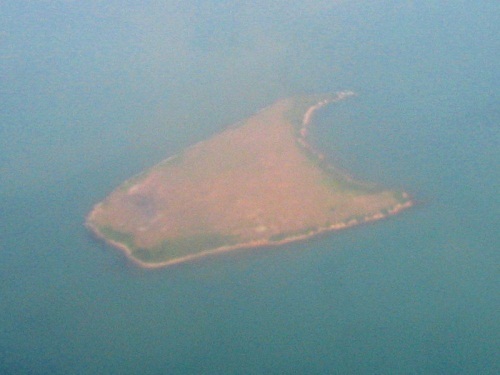 The island was leveled in the mid-1990s during construction of Chek Lap Kok airport resulting in destruction of all the mine buildings and the spoil heaps. This article was firat posted on 3rd February 2014.